Many brothers and sisters have told me that Hyung Jin Nim is violating what they think should be his highest priority, which is unity with Mother, and within the True Family and the Unification community. This has led me to reflect on the question, "what is Father's idea of unity?" We all know how often Father spoke about the importance of the unification of North and South Korea. I recently heard an account of Father's meeting 14 years ago, in December 1991, with Kim Il Sung, the North Korean "absolute leader" who had imprisoned Father in the Hungnam death camp for nearly 3 years (1948-1950). According to this testimony, Father stayed up all night before the meeting, agonizing about what God required him to do the next day. The first meeting was with high North Korean government officials. Father did not take too long with initial greetings and pleasantries. He suddenly began to tell them that if North Korea did not abandon its godless "juche" ideology and acknowledge the reality and authority of the living God, Kim Il Sung and his Communist regime would be judged and destroyed. I'm told that several church leaders at the meeting were so scared about what would happen to all of them that some of them lost control of their bodily fluids, requiring a change of their underwear. 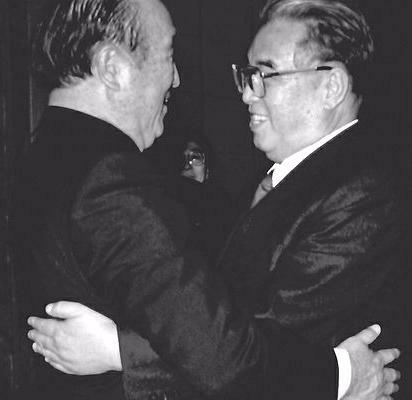 However, when Father did meet with Kim Il Sung, the man who had imprisoned him and caused the deaths of millions, they warmly embraced. Soon thereafter several joint projects were launched between the Unification Movement and the North Korean government. My friend believes that the bloodthirsty dictator Kim Il Sung's direct experience with the living Christ and the spirit of God that day profoundly moved him. What can we learn from this? Father's understanding of the path to unity has nothing to do with humanistic strategies in which people say pleasing things they think their opponent wants to hear. His first concern was to tell the truth. On this foundation of absolute faith, love, and obedience, God was able to work and to bring about a unity which is truly centered on Him. Hyung Jin Nim also speaks strongly. What else would you expect from a son of True Father who feels a deep obligation to protect his Father's words and legacy from a profound violation? Some long-standing friends of mine, whom I have known for decades, have cut off all contact with me and other brothers and sisters who support Hyung Jin Nim. They have apparently been directed by the Family Federation to do so. One sister whose husband believes that Hyung Jin Nim is doing God's will recently gave him divorce papers. In Korea and Japan members have been kicked out of the Family Federation for attesbnding Sanctuary events or showing insufficient enthusiasm for Mother's "innovations." 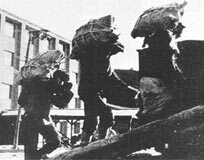 In Japan, where liberating the required 210 generations of ancestors through Cheongpyeong cost more than $180,000, they have now been directed by Mother to liberate another 210 generations. Such hardball tactics belie the Family Federation's veneer of "benevolence," but they are backfiring. Last Sunday Hyung Jin Nim exercised his authority as the anointed heir and successor of True Parents to liberate 210 generations of ancestors of 1,000 families from Korea, Japan, America, and many other countries around the world. Brothers and sisters donated whatever they felt led to give, not an onerous "tax" that has led some families to bankruptcy and even suicide. Even if you disagree with what you think Hyung Jin Nim is saying, I would urge you to take a deeper look, beyond the harsh words that may shock you. As with the example of Father's declaration in Pyeongyang, God's words are not always sweet, and words that are sweet are not always from God.